There are a thousand ways to "get exposure", but most cost money up front and don't guarantee that you will actually get what you want - new clients. You can spend hundreds, or even thousands, of dollars on a website, only to learn through experience that it takes months and a lot of work to get even a small amount of traffic. Buying advertising can be a similarly frustrating experience; it is hard, even in hindsight, to see if the money was well spent. Are you tired of spending time and marketing dollars on efforts that aren't trackable and don't guarantee results? You tell us your service area and what types of prospects you're looking for, we help you set up a company profile, and then we market it all over the internet. We know how to find the property owners you're looking for through organic and paid search engine traffic, online communities and social media campaigns. Our clients only pay us when we send them qualified property management leads. There are no upfront or monthly fees. We will bring new business to your door, or you pay us nothing. Of course, we can't guarantee that every lead will work out, but we can and do make sure that you only pay for leads from qualified prospects with properties or associations that you want to manage. On average, our clients are able to close 1 in 4 of our leads, so they buy about 4 leads for every signed contract. Once you know your closing rate, it's easy to determine how much each new client will cost you, and find out if it is worth the money. No contracts, no upfront fees, no risk. We're here to see you succeed. See pricing & lead types. Choosing a property manager is a big step and owners are looking for guidance in how to navigate through the process. Our in depth hiring guide has fast become a popular resource for owners with questions about what to look for and how to interview a property management company. Really good post and very informative as well. This will hopefully lead to them listing with an agent when they find the difficulty of going alone. All very good articles. Thank you for making the case for us managers. Great post Mr. Muela. It's good to see a professional that knows and understands the process of the PM business. Thank you for this post. I have emailed this to our property manager to use with prospective clients. It will help her in her campaign. 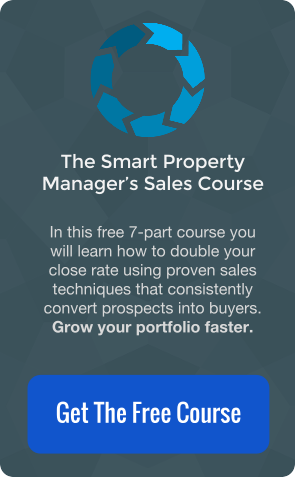 Jordan, this is an excellent primer to offer to owners seeking property management.... It's well written. For hundreds of cities across the nation, we've compiled a series of useful charts and graphs with information pertinent to the local property management market. Property owners have found them useful, alongside the directory of local management companies which also appears on the same page. Each city page (i.e. San Francisco, or Sacramento) on their site contains 1) housing market stats, 2) demographic information, 3) community information, and of course relevant, active, and accredited property managers in your area gracefully laid out and easy to read. We would love to help your company succeed. Check out our prices and lead types. We're pretty confident you won't find a more cost effective way to advertise your company online. Can we offer one last friendly suggestion? Sign up before your competitors do. Sign up today! Get qualified leads or it's free! Comments: The best time to reach me is after 10a.m. and before 3 p.m. I am currently trying to rent my townhome and have been unable to find tenants. I am looking for a company that can assist me with finding tenants and also managing the properties depending on the fees. Comments: We are an HOA organization. Our condo complex is a 3-story building, which consists of 30 units - one-, two- and three bedroom units Please contact me asap. We are looking to replace our current management company. Comments: 3 apartments, currently vacant and with bills mounting, keen to find tenants to reduce debts and produce income, so am willing to reduce rents and increase agents commission. Am located in Ireland so visits to Buffalo are frequent, email is best, thank you.